One of my favorite pub-type stops in Budapest is called “Stop” simply. Megálló in Hungarian. 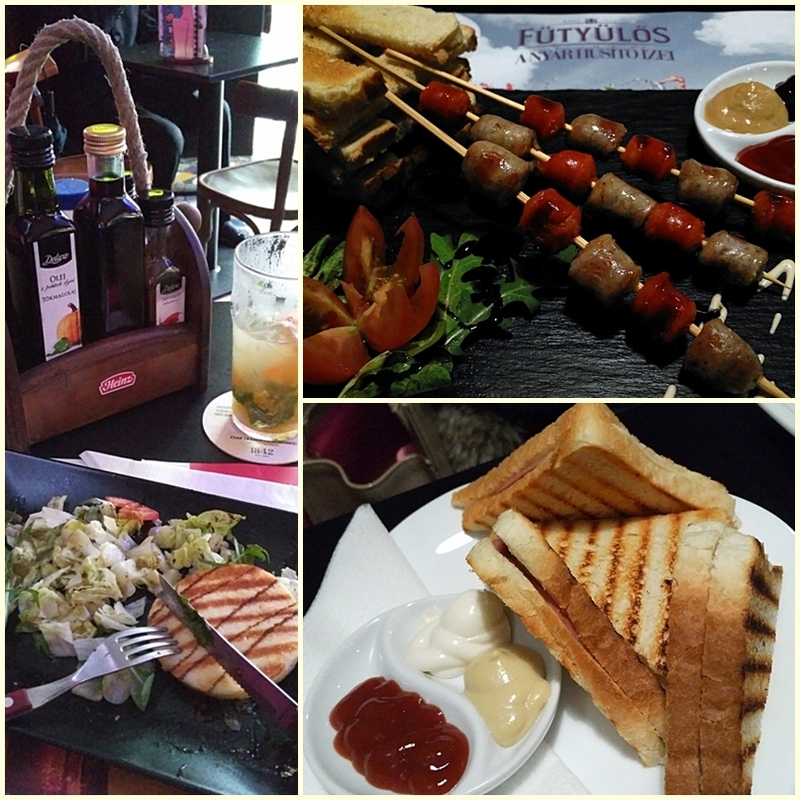 It is immediate, welcoming, not too trendy pimped but still has a quite competitive bistro-like pub menu. 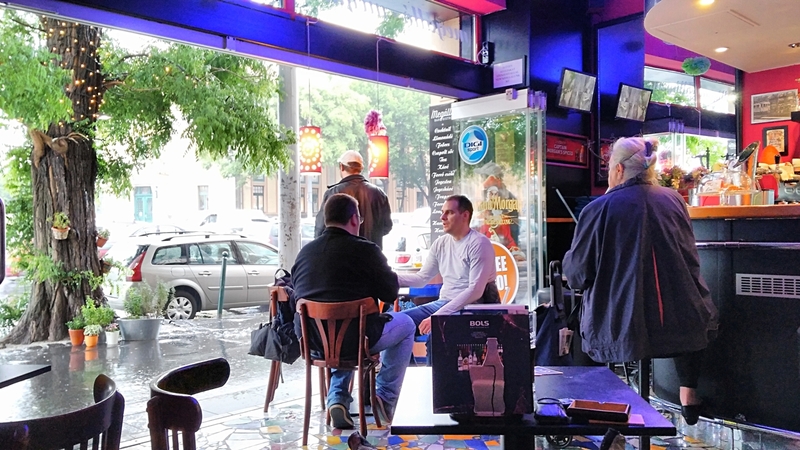 It’s really worth to stop here and have some easy bites next to a coffee or a drink. Actually, its location isn’t far from the direct city center at all: less than 10 minutes walk from the busy Nagykörút (ringroad) and between two metro stops and next to the well known downtown mall, Westend City Center. Despite all these facts, quite a few tourist find the way till this point and even expats needs time to get here first. In current day’s Hungary it is worth to spot this place: decent pub food and cozy pubs don’t come together so easy as it may sounds. The name itself won’t be a big deal without a background story but fortunately there is one. Back than the tram 14 going to outer district used to have a stop here, exactly in front of the bar. The wide black and white photo above the counter is a memoir to it. Megálló looks this way from outside, with a big shopping window, hiding nothing from the happenings in the first room. Fortunately, they have a second more intimate premise too, a quite big one. 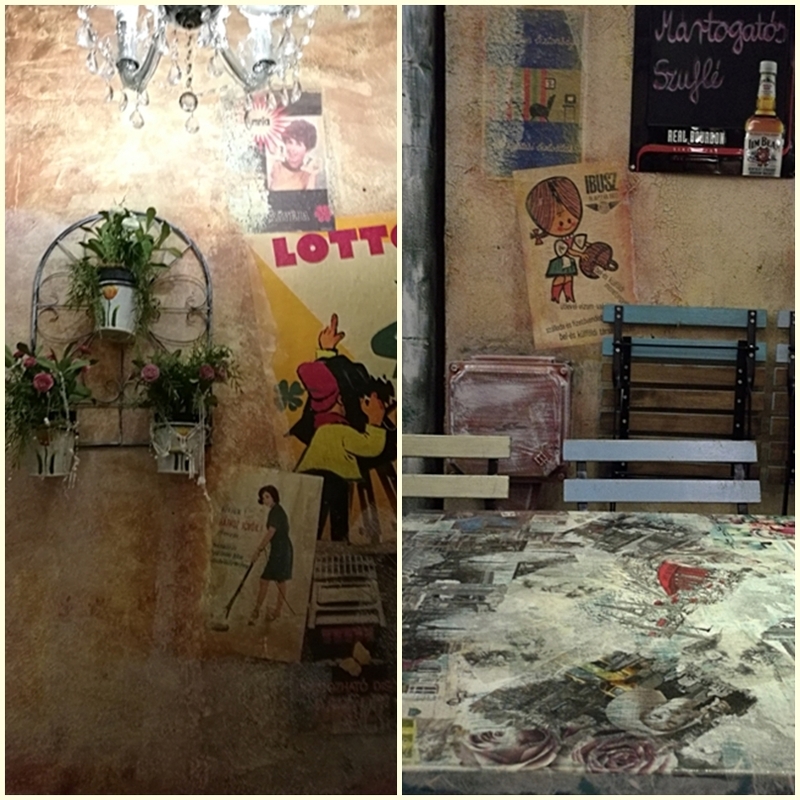 These two rooms even have a spectacularly different design. The first one with the bar is more masculine, cooler urbanist style with Hundertwasser-like pavement, black and white genre photos. The back one is more feminine, vintage style with green framed fake windows inside. It is much better for dates and for group of girl groups to gather. At the bar outside there are like 6 comfy bar chairs, you can also eat by the bar. You can frequently meet Laci the pub owner sitting on one of these chairs. He finds the common voice easily with the newbies and apparently he shares a good relationship with the recurring guests. 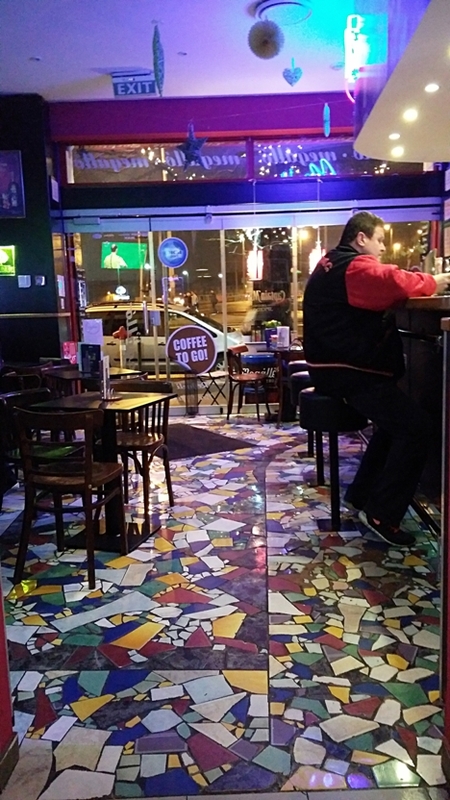 He and his wife took over the place 13-14 years ago and they ran it since then – except a shorter pause of 2 years. 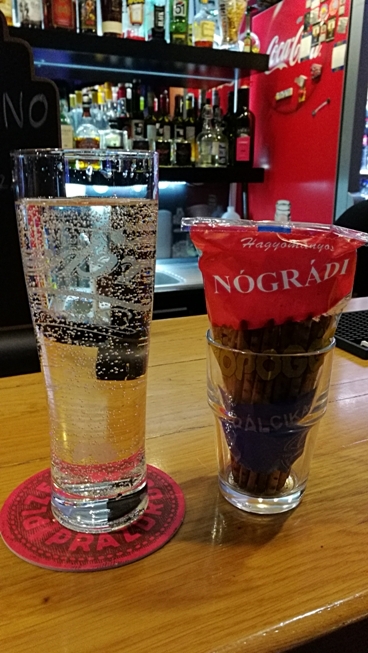 They serve every drink with the basic Hungarian snack, ropi (salty sticks) but you can choose if you take them or not, the cost is minimal. Fortunately, the food just starts here. Especially to this type and size of places they have one of the greatest selection of pub food I’ve experienced in Budapest. They were among the first ones who had it before this pub-gastronomical wave finally started to rise in the last years (for example: MALTeR) also in Hungary. 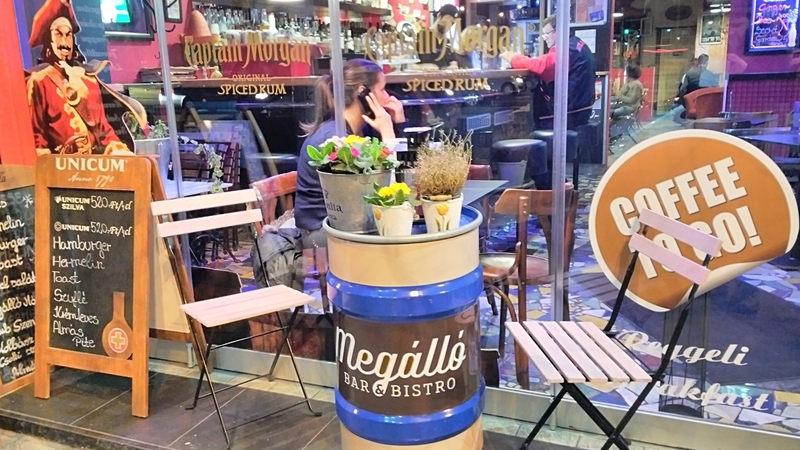 Megálló traditionally has not only the more common nachos and grilled sandwiches but diverse salads, grill sausages, dips, cream soups, homemade burgers, argentine beefsteak, hermelin with blueberry jam. And their newest grill cheese is really something to die for. Every guests who sits down gets the menu automatically pinned to a cutting board but not even this pushing Megálló to be another modest bistro of many. The atmosphere is quite immediate here. Laci calls it a cultural meeting point. They can be proud of stories such as an American guy on the way home from a casino stopped the limo here and told the driver that he stays because it seems to be a good place and he has been drinking here for the whole night. Even a small circus pony was led around here once. You also should pay attention to wallpapers in the inner room. They came originally from the collection of the old national Hungarian TV and were here before the retro-ruin pub culture started to spread. Laci thinks that the pictures of the wall are important. He doesn’t like too much showing that you will get on the plate either way, for example (like in a pizzeria the sticky cheese). In return he shows gladly a friend’s little daughter eating pizza. He likes collecting samples in Italy and in other foreign countries but they also invent own ideas. 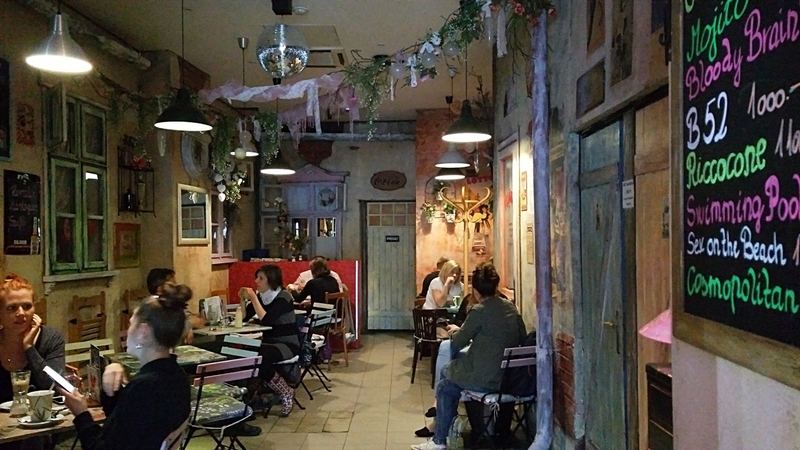 For example for one of their cocktails only they and one cocktail bar has permission in whole Budapest. Nowadays they prefer to improve the vegetables based cocktails instead of the creamy ones. Even from spritzer, they have pickles flavored. Not to mention the lavender and rose flavored ones. I kept those rather for the ladies. 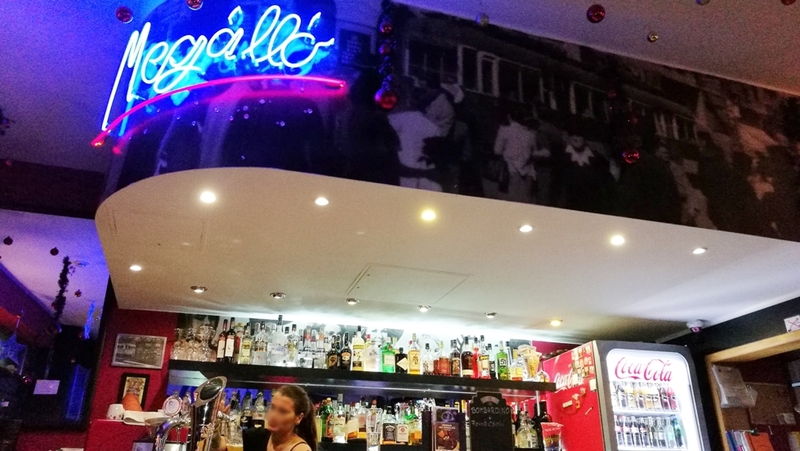 In conclusion: Megálló is decent enough from the perspective of drinks and food at the same time. 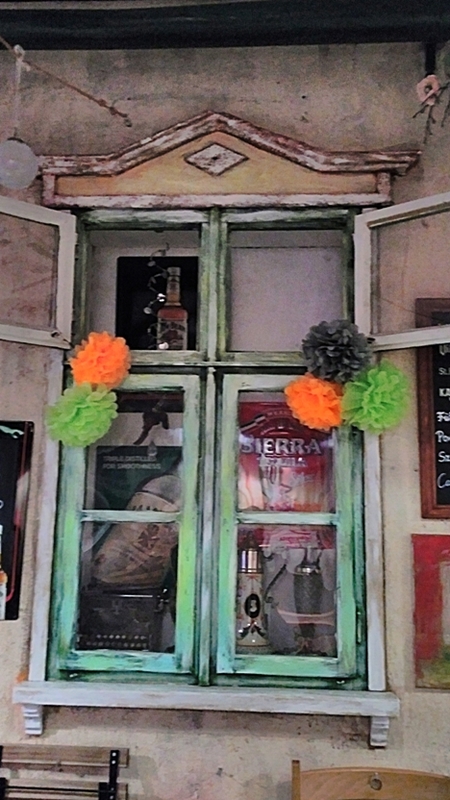 If this would be our default standard in Hungary, we wouldn’t have anything to be ashamed of in our world of pubs. 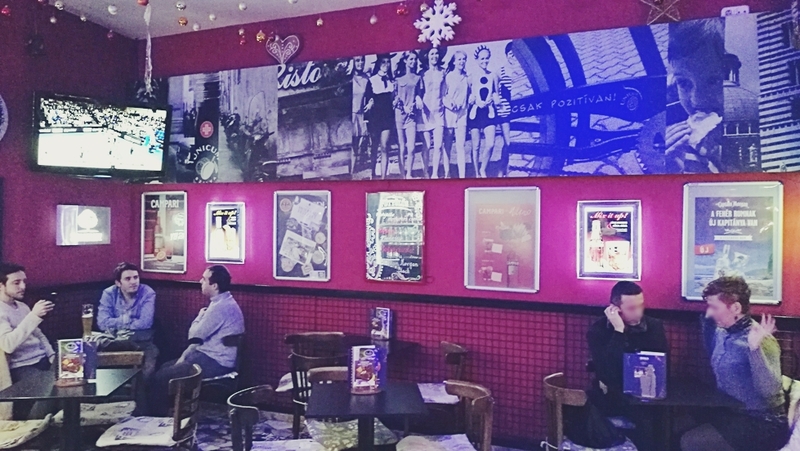 I recommend to come here automatically while waiting for a movie in the next mall cinema and if you are an expat in Budapest come here at least once without any particular reason, too! My only sorrow is that they don’t serve soda alone but to the coffee you get automatically a small portion of water, which is not so automatic in Hungary. EXTRA: Szandra, one of the bartenderins who always smiles so bright that makes the day better. Address: 1132, Budapest, Váci út 34. 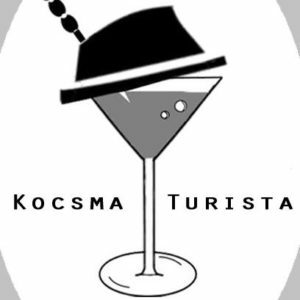 If you want to read more about European and Hungarian pubs and bars and their surroundings, like and follow Pubtourist Facebook page!